Wow, what a list of challenges! That will be fun! Hope that helps! Have fun and good luck! The Warrior brave and true! Our lives burn short and bright! battle forever, battling on through the Eternal fight! In just a few short moments, the complete list of Challenges will be posted in the first post here. I hope you all nicely combed your hair, brushed your teeth shining white, and got your whiskers and talons clipped, because it's time to pose for selfies and screenshots all across the Galaxy! - The deadline for sumbitting your bundled screenshots is Sunday 5 May 2019 at 18:00 UTC. Submissions can be sent via https://wetransfer.com/ to SGNMoraleDept@gmail.com. - Any questions you have can be directed to one of the Members of the Fleet Morale Department; Balduranne, Caijamin, SaintPlazma, or Chipz416. - Most important of all, remember to have tons and tons of FUN with all your wonderful fellow Fleeties! I expect Sansa or possibly Arya to end up on the iron throne. Attention Honourable warrior's of Nagh'Red! This months May'Qep is in collaboration with Ted's "Your-O-Vision"
In Your-O-Vision, songs are usually about love and peace. 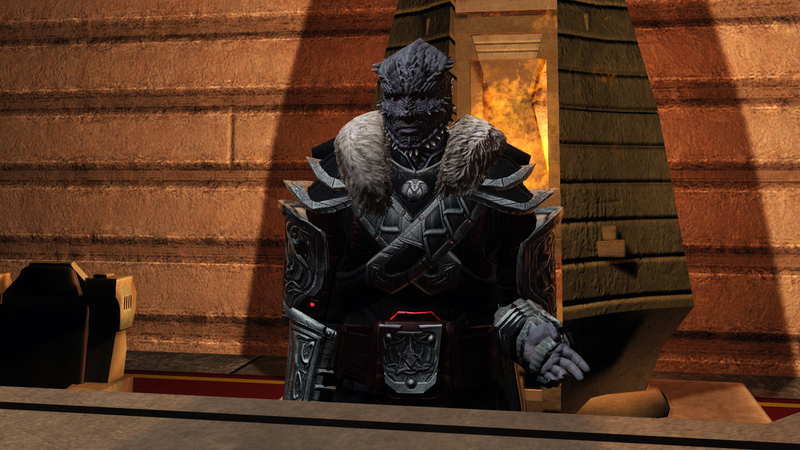 Klingons sing songs of glory and war! In Kling-O-Vision, every participant is required to sing (meaning post in in-game chat) about a glorious, honorful event or action. A deed worthy of a song, as we say on Qo'noS! If your song fits for an opera, some Klingon warriors may join your crew! but if you don't rhyme that'll also be fine. then maybe the great Kahless will grant you a favour! On Sunday May 5th at 18:00 UTC we will meet at the Nagh'Red Starbase, In front of the Khaless mural. All KDF sided characters are welcome, We will be around to throw invites if you need one, KDF Aligned Jem'Hadars and Romulan/Remans are welcome as always too. We welcome stories from far and wide! 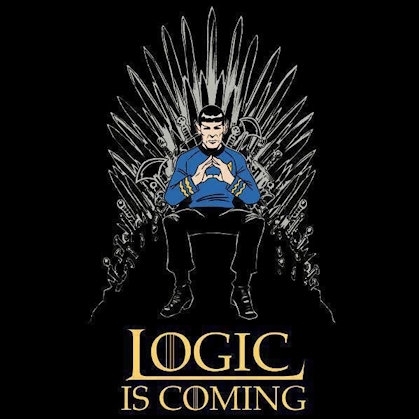 Grab your Bloodwine, Romulan ales, and Ketracel + tonics, To join us in a hearty competition, the only rule being don't go over 12 Paragraphs (e.g. the max for one message is one paragraph) in Chat. Be an honourable warrior, don't interrupt another warriors story, and let me know when its finished so that I can save it for later! Just remember to select the SFEvents channel when you're typing out your story! For the best stories there are some prizes to be won! An additional warrior that stood out that still deserves 1 SWC! @shozin you haven't uploaded a profile picture yet... So i put you under House Baratheon using a cute Pikachu avatar.. weee! Gendry all the way. House Baratheon. Although, it should've been Renly. As I am a Stark loyalist, house Stark! I'm going with House Baratheon. I discovered a flaw in your logic: Jon Snow is far too hot to be frozen. I want to side with House Lannister cause I drink and know things. To all above, I've added "House Other" as an option... just in case you think none of the main houses listed will claim the throne OR any other reason why you don't think the main houses will take it..
you Can change your minds by using this golden "change your mind token"
I believe that in the face of such great adversity, all houses will unite under a new banner of the United Federation of Houses to form a council that will collectively govern all the lands! But seriously, I'm going to deviate from the Targaryen guessers to add some flavour to this! I'm going to go with House Lannister. I could see Tyrion taking it if everyone else ends up dead in the war with the White Walkers!